TECHNOLOGY-PORTFOLIO.NET - Honor, a leading smartphone e-brand, today launched Honor 7A, a smart phone at affordable prices and specifically designed for users who need fun and ease in daily use. This launch event received tremendous acclaim from business partners, media, influencers and Honor Fans who welcomed the debut of Honor 7A in Indonesia. 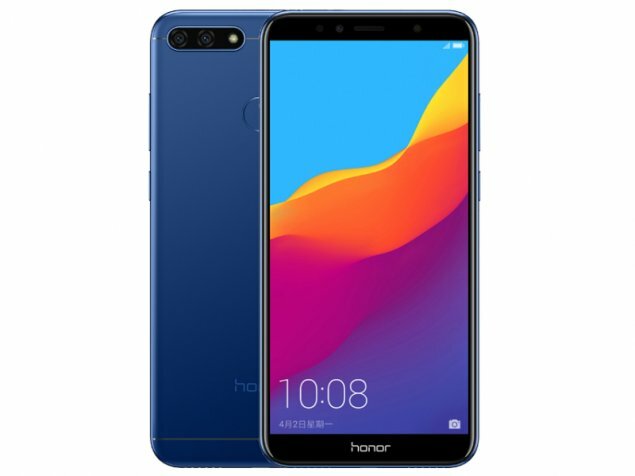 The launch of Huawei Honor 7A proves Honor's commitment to continue to provide a wide selection of smart phones for the people of Indonesia, including smart phones with advanced features such as dual cameras and Face Unlock. This product launch also offers the experience of using top-class smart phone features at affordable prices for everyone. The Huawei Honor 7A comes with a Face Unlock feature that ensures ease of use, a high-resolution dual rear camera that produces high-quality image shots, and a broad FullView Display screen. All these excellent features are perfectly integrated in a sleek body offered at a very affordable price of US$ 119.99 - US$ 146. This gives customers more choices for smart phones to suit their needs at competitive prices but with high value. The Huawei Honor 7A is equipped with a dual lens rear camera with 13 MP + 2 MP resolution, so it can capture images of people and sights in high definition. Once again the Honor 7A marks its achievement as an affordable cellphone with dual camera capabilities. With a dual camera, you can use the bokeh effect for portrait photos, which provides a professional photography experience as easily as a finger touch. Honor 7A also features an 8MB front camera with selfie toning capabilities to make your selfie better than before at night..
Face recognition method, or Face Unlock, provides a way to access mobile phones faster and easier. Honor is one of the mobile brands that offers these advanced features in smart phones at affordable prices, and this function is able to detect 1024 face points to capture images of your face. Thus, you can open your cellphone just by looking at the mobile screen. Honor 7A is also integrated with a fingerprint sensor that provides a deeper choice of accessing your cellphone quickly when part of your face is covered with masks, scarves or sunglasses. The Huawei Honor 7A comes with a 5.7-inch FullView Display screen, with an 18: 9 ratio, which offers an amazing viewing experience, similar to what is in a cinema. This smartphone is also powered by an octa-core processor, and is supported by the Android 8.0 system and the EMUI 8.0 user interface, which offers better functionality and performance in the scope of multi-tasking. This smart phone uses a symmetrical 360 ° middle frame frame design and has a uniform curvature on all sides and corners. This phone also has a compact body with a thickness of 7.8mm only, thus showing its elegant design. All information on this website is published in good faith and for general information purposes only. © Technology Portfolio All Rights Reserved.